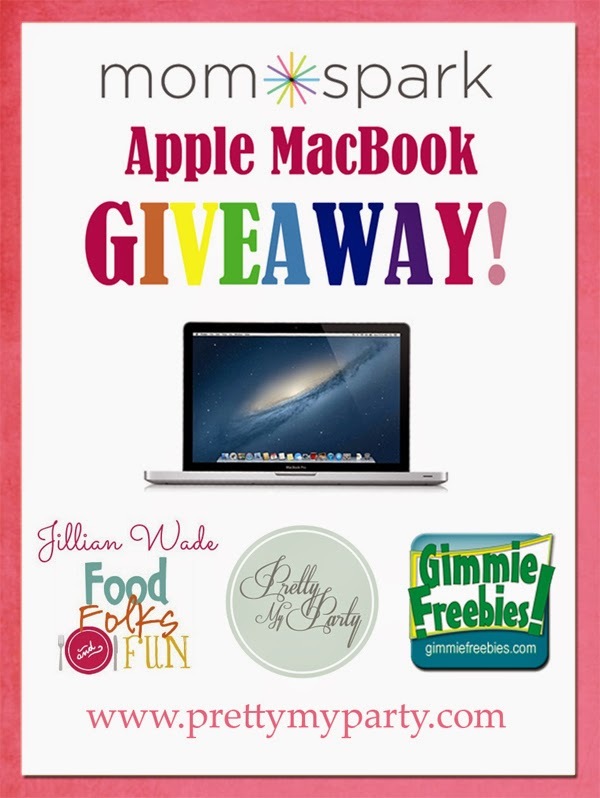 Ally's Sweet and Savory Eats: Apple MacBook Giveaway! I have recently teamed up with Mom Spark, Food Folks and Fun, Gimmie Freebies and an amazing group of blogs and businesses to bring you the Apple MacBook Pro Laptop Giveaway! I am super stoked about this giveaway - the BIGGEST one I have done to date! Who doesn't want a new laptop? I sure do. Yes, this is a food blog, but I love throwing in other fun stuff along the way. I need an efficient computer to keep this little blog going, so it only makes sense to give a computer away as more than likely you all need a reliable computer too, right? Thank you to our sponsors for making this giveaway possible. You can see the entire list of sponsors on the Rafflecopter form below. Catch My Party, Painting Paris Pink, Cloudy With a Chance of Wine, Bird's Party, Grace Tells Another Story, A Delightsome Life, Saving With Shellie, The Silly Pearl, Tone Mama, Make the Best of Everything, Crafts a la mode, The Latina Homemaker, Funky Monkey Designs, Love the Day, Dandelion Ave., Paper and Fabric Journals, Party Patisserie, Yesterday on Tuesday, The Turquoise Home, Sweetly Chic Events, Ally's Sweet & Savory Eats, My Dairy-Free Gluten-Free Life, Sugar Confetti, Design Dazzle, and Sassy Steals.